Have you ever wanted to split your database load across multiple servers or clusters without impacting the configuration or code of your client applications? Or perhaps you have wished for a way to intercept and modify application queries, so that you can make them use optimized tables (sorted, pre-joined, pre-aggregated, etc. ), add security filters, or hide changes you have made in the schema? Routing: Intelligently send queries to different database servers from one client connection; use it to partition or load balance across multiple servers or clusters. Rewrite: Intercept and programmatically change client queries before they are sent to the server; use it to optimize or otherwise alter queries without modifying your application. Pgbouncer-rr works the same way as pgbouncer. Any target application can be connected to pgbouncer-rr as if it were an Amazon Redshift or PostgreSQL server, and pgbouncer-rr creates a connection to the actual server, or reuses an existing connection. You can deploy multiple instances of pgbouncer-rr to avoid throughput bottlenecks or single points of failure, or to support multiple configurations. It can live in an Auto Scaling group, and behind an Elastic Load Balancing load balancer. It can be deployed to a public subnet while your servers reside in private subnets. You can choose to run it as a bastion server using SSH tunneling, or you can use pgbouncer’s recently introduced SSL support for encryption and authentication. Documentation and community support for pgbouncer can be easily found online; pgbouncer-rr is a superset of pgbouncer. Now I’d like to talk about the query routing and query rewrite feature enhancements. The routing feature maps client connections to server connections using a Python routing function which you provide. Your function is called for each query, with the client username and the query string as parameters. Its return value must identify the target database server. How it does this is entirely up to you. For example, you might want to run two Amazon Redshift clusters, each optimized to host a distinct data warehouse subject area. You can determine the appropriate cluster for any given query based on the names of the schemas or tables used in the query. This can be extended to support multiple Amazon Redshift clusters or PostgreSQL instances. In fact, you can even mix and match Amazon Redshift and PostgreSQL, taking care to ensure that your Python functions correctly handle any server-specific grammar in your queries; your database will throw errors if your routing function sends queries it can’t process. And, of course, any query must run entirely on the server to which is it routed; cross-database joins or multi-server transactions do not work! Here’s another example: you might want to implement controlled load balancing (or A/B testing) across replicated clusters or servers. Your routing function can choose a server for each query based on any combination of the client username, the query string, random variables, or external input. The logic can be as simple or as sophisticated as you want. Your routing function has access to the full power of the Python language and the myriad of available Python modules. You can use the regular expression module (re) to match words and patterns in the query string, or use the SQL parser module (sqlparse) to support more sophisticated/robust query parsing. You may also want to use the AWS SDK module (boto) to read your routing table configurations from Amazon DynamoDB. The function parameters provide the username associated with the client, and a query string. The function return value must be a valid database key name (dbkey) as specified in the configuration file, or None. When a valid dbkey is returned by the routing function, the client connection will be routed to a connection in the specified server connection pool. When None is returned by the routing function, the client remains routed to its current server connection. All queries must run wholly on the assigned server. Cross-server joins do not work. Ideally, queries should auto-commit each statement. Set pool_mode = statement in the configuration. Multi-statement transactions work correctly only if statements are not rerouted by the routing_rules function to a different server pool mid-transaction. Set pool_mode = transaction in the configuration. If your application uses database catalog tables to discover the schema, then the routing_rules function should direct catalog table queries to a database server that has all the relevant schema objects created. Amazon Redshift cluster 1 has data in table ‘tablea’. Amazon Redshift cluster 2 has data in table ‘tableb’. You want a client to be able to issue queries against either tablea or tableb without needing to know which table resides on which cluster. Create a (default) entry with a key, say, ‘dev’ in the [databases] section of the pgbouncer configuration. This entry determines the default cluster used for client connections to database ‘dev’. You can make either redshift1 or redshift2 the default, or even specify a third ‘default’ cluster. Create additional entries in the pgbouncer [databases] section for each cluster; give these unique key names such as ‘dev.1’, and ‘dev.2’. Below is a toy example, but it illustrates the concept. If a client sends the query SELECT * FROM tablea, it matches the first rule, and is assigned to server pool ‘dev.1’ (redshift1). If a client (and it could be the same client in the same session) sends the query SELECT * FROM tableb, it matches the second rule, and is assigned to server pool ‘dev.2’ (redshift2). Any query that does not match either rule results in None being returned, and the server connection remains unchanged. Below is an alternative function for the same use case, but the routing logic is defined in a separate extensible data structure using regular expressions to find the table matches. The routing table structure could easily be externalized in a DynamoDB table. You will likely want to implement more robust and sophisticated rules, taking care to avoid unintended matches. Write test cases to call your function with different inputs and validate the output dbkey values. Optimize an incoming query to use the best physical tables when you have replicated tables with alternative sort/dist keys and column subsets (emulate projections), or when you have stored pre-joined or pre-aggregated data (emulate ‘materialized views’). Apply query filters to support row-level data partitioning/security. Roll out new schemas, resolve naming conflicts, and so on, by changing identifier names on the fly. The function parameters provide the username associated with the client, and a query string. The function return value must be a valid SQL query string which returns the result set that you want the client application to receive. Implementing a query rewrite function is straightforward when the incoming application queries have fixed formats that are easily detectable and easily manipulated, perhaps using regular expression search/replace logic in the Python function. It is much more challenging to build a robust rewrite function to handle SQL statements with arbitrary format and complexity. Enabling the query rewrite function triggers pgbouncer-rr to enforce that a complete query is contained in the incoming client socket buffer. Long queries are often split across multiple network packets. They should all be in the buffer before the rewrite function is called, which requires that the buffer size be large enough to accommodate the largest query. The default buffer size (2048) is likely too small, so specify a much larger size in the configuration: pkt_buf = 32768. If a partially received query is detected, and there is room in the buffer for the remainder of the query, pgbouncer-rr waits for the remaining packets to be received before processing the query. If the buffer is not large enough for the incoming query, or if it is not large enough to hold the re-written query (which may be longer than the original), then the rewrite function will fail. By default, the failure is logged and the original query string will be passed to the server unchanged. You can force the client connection to terminate instead, by setting: rewrite_query_disconnect_on_failure = true. So you implement the new tables, and take care of their population in your ETL processes. But you’d like to avoid directly exposing these new tables to your reporting or analytic client applications. This might be the best optimization today, but who knows what the future holds? Maybe you’ll come up with a better optimization later, or maybe Amazon Redshift will introduce cool new features that provide a simpler alternative. So, you implement a pgbouncer-rr rewrite function to change the original queries on the fly. Ensure that the configuration file setting rewrite_query_py_module_file specifies the path to your python function file, say~/rewrite_query.py. GROUP BY storename ORDER BY storename"
GROUP BY prodname ORDER BY prodname"
GROUP BY storename ORDER BY storename;"
GROUP BY prodname ORDER BY prodname;"
Again, this is a toy example to illustrate the concept. In any real application, your Python function needs to employ more robust query pattern matching and substitution. Here are the steps to start working with pgbouncer-rr. Create a configuration file, using ./pgbouncer-example.ini as a starting point, adding your own database connections and Python routing rules and rewrite query functions. Set up user authentication; for more information, see authentication file format. NOTE: The recently added pgbouncer auth_query feature does not work with Amazon Redshift. If you are running pgbouncer-rr on an Amazon EC2 instance, the instance security group must also be configured to allow incoming TCP connections on the listening port. Run pgbouncer-rr as a daemon using the commandline pgbouncer <config_file> -d. See pgbouncer –help for commandline options. Hint: Use -v -v to enable verbose logging. If you look carefully in the logfile, you will see evidence of the query routing and query rewrite features in action. Configure your client application as though you were connecting directly to an Amazon Redshift or PostgreSQL database, but be sure to use the pgbouncer-rr hostname and listening port. Serve small or repetitive queries from PostgreSQL tables consisting of aggregated results. Parse SQL for job-tracking table names to implement workload management with job tracking tables on PostgreSQL, simplifies application development. Leverage multiple Amazon Redshift clusters to serve dashboarding workloads with heavy concurrency requirements. Determine the appropriate route based on the current workload/state of cluster resources (always route to the cluster with least running queries, etc). Use Query rewrite to parse SQL for queries which do not leverage the nuances of Amazon Redshift query design or query best practices; either block these queries or re-write them for performance. Use SQL parse to identify and rewrite queries which filter on certain criteria to direct them towards a specific table containing data matching that filter. Publishing custom CloudWatch metrics, enabling you to monitor specific query patterns and/or user interactions with your databases. 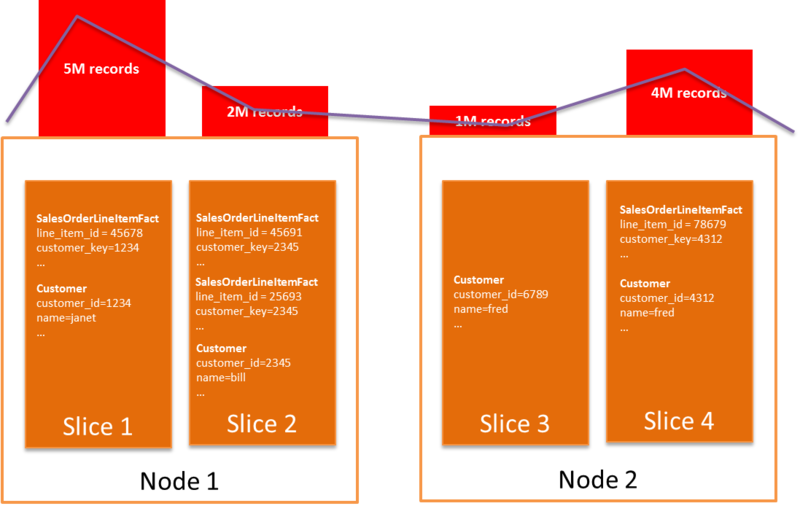 Capturing SQL DDL and INSERT/UPDATE statements, and wrap them into Amazon Kinesis put-records as input to the method described in Erik Swensson’s excellent post, Building Multi-AZ or Multi-Region Amazon Redshift Clusters. Copyright 2015-2015 Amazon.com, Inc. or its affiliates. All Rights Reserved.